It’s official. The UST Growling Tigers have a new superstar. 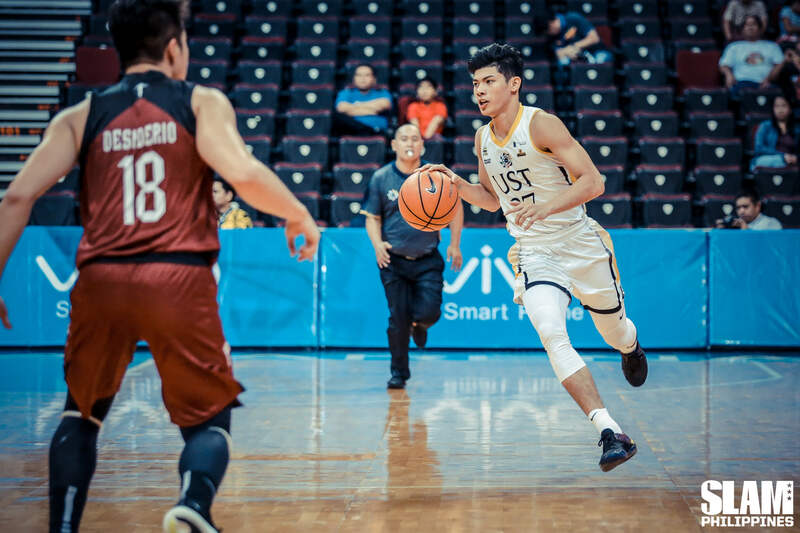 CJ Cansino set the tone for the Growling Tigers in their big win over the UP Fighting Maroons. This is UST’s second straight win and their first streak of the season. The Tigers and the Maroons end the first round with identical 3-4 slates. Cansino took control of the game as soon as the ball was tipped. He was responsible for eight of UST’s first points in their 12-2 opening run. Cansino started off with an interception and took it all the way to the hoop for a breakaway layup. In the next two possessions he found Zach Huang and EJ Caunan with nifty passes on drives to the hoop. Cansino closed out the run with a strong drive to the hoop after he freed himself of his defender on a pick play. From his brilliant playmaking and slashing in the first period, Cansino took his game outside in the second half. He buried two three-pointers after grabbing big offensive rebounds in the third quarter as the Tigers trampled all over the Maroons. UST took a 30-point lead heading to the final period and never looked back from there. Cansino finished with 16 points, 10 rebounds and seven assists. The FEU Tamaraws continue to confound the Ateneo Blue Eagles. Their physical defense and balanced offensive attack played big roles in their latest win. FEU stifled Ateneo to hand the defending champions their second loss of the season. Both teams are now tied at the second spot with 5-2 records. The Blue Eagles looked like they were in full control of the game in the first half. Their defense was on point once again, limiting FEU to just 22 points on 37% shooting in the first two quarters. Offensively, they did just enough to take a double-digit lead. Thirdy Ravena and Angelo Kouame scored key baskets in the first two quarters to keep Ateneo ahead despite only shooting 30%. 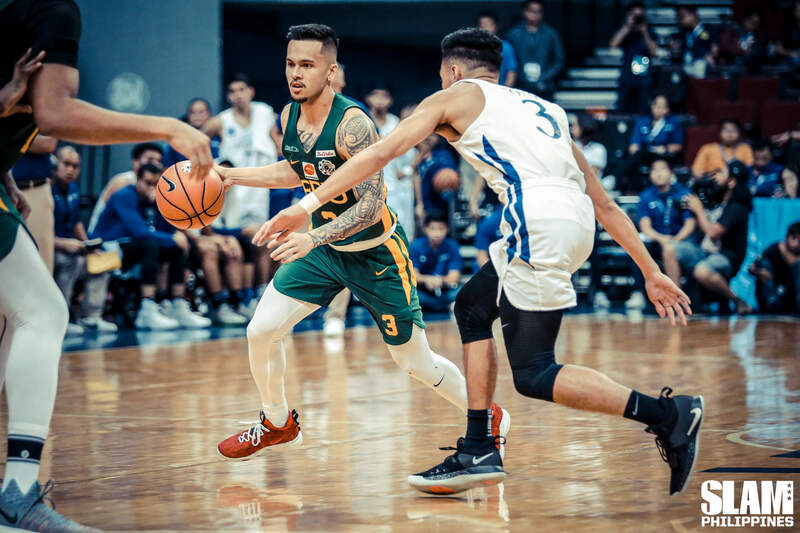 In the third quarter, FEU came out with a renewed fire. They played with more intensity and physicality on defense. The Tamaraws limited Ateneo to just seven points in the third quarter, their lowest output in any quarter this season. On the offensive end, Jasper Parker spearheaded the FEU run as he scored seven points on a dazzling display of dribbling and slashing. The Tamaraws took control of the game from that point. They shut down Ateneo’s offense and took an eight-point lead in the fourth period. The Blue Eagles tried to make one last run to tie the game. Behind Kouame’s presence in the paint, they got to within three points in the final seconds. They had a chance to tie the game after a key defensive stop on FEU. But the Tams denied the pass and forced Adrian Wong to settle for a contested three-pointer. FEU’s defense held steady in the end.